Each day, our feet carry our bodies for thousands of steps, and these padded cushions of paddy tissues do hold their shape despite the immense pressure our movements place on them. Not surprisingly, our feet also happen to be highly vulnerable to various medical conditions such as plantar fasciitis. 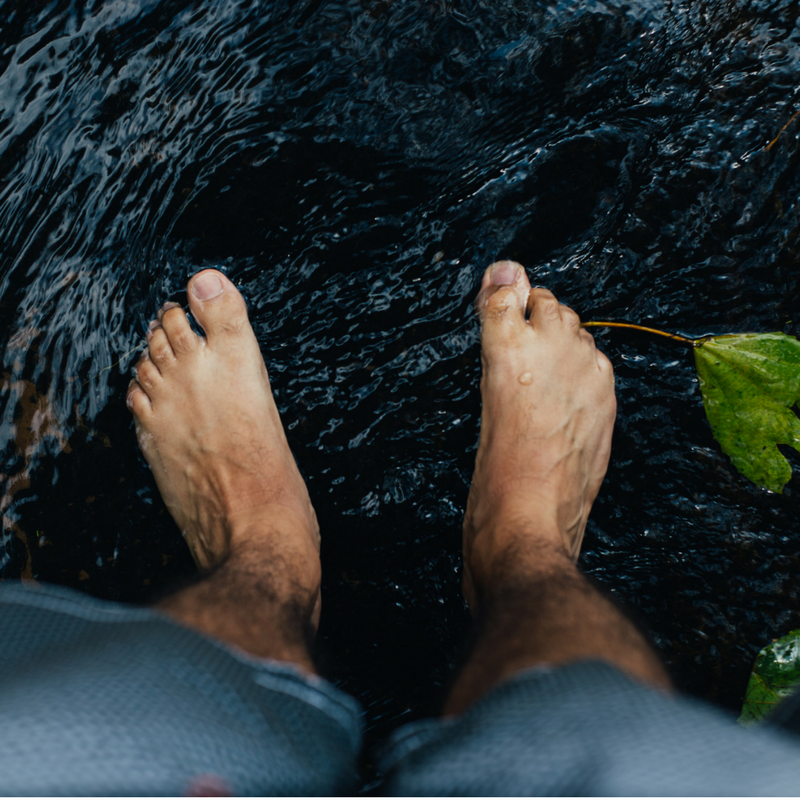 Keep reading and find out everything you need to know about feet health complications: what triggers these issues, how we can treat and prevent them. Plenty of Americans Suffer from Foot Pain: Are You One of Them? Our feet are amazing, but they also tend to be the most injured parts of the body. About 75% of the American population will experience pain in their feet at some point in their lives. Foot pain may have a negative impact on our quality of life. It may prevent us from walking or exercising, cause constant pain, and increase our chances of falling and sustaining more injuries. • Women during the pregnancy period. • Children (particularly boys) between the age of 8 and 16. • People whose jobs require them to be on their feet for extended periods. • Obese or overweight people. • People who are physically active. • Middle-aged men and women. Suggested: Are High Heels a Good Workout? What Are the Major Causes of Foot Pain? • Jumping, running or standing on hard surfaces. • Stress fractures and other heel injuries. • Abnormal gait or walking styles that add pressure to the feet. Foot pain, if ignored, may result in several foot-related complications. One of the most common conditions being heel spurs. If you are used to rolling your feet inwards, you may develop chronic inflammation even without your knowledge. The spur itself doesn’t cause the pain; the pain results from inflammation around the area. The presence of a spur is flagged by soft patch on the sole of the affected foot. This is commonly found in people who have problems with the arches of the foot such as flat feet or high arches. The presence of a spur is flagged by soft patch on the sole of the affected foot and the condition is often found in conjunction with plantar fasciitis. Plantar fasciitis is a complication that affects the plantar fascia, which is a band of connective tissue running along the foot to the ball of the heel. It keeps everything in position. If this connective tissue is bruised or overstretched, it may lead to inflammation and ultimatly heel pain. In most cases, this condition is associated with the heel spur. The constant tearing and bleeding of the ligament often lead to the formation of a bony growth at the heel. Many celebrities suffer the consequences of these feet complications. While playing for the Los Angeles Lakers, Pau Gasol suffered a partial tear of his plantar fascia due to chronic plantar fasciitis and was out of the game for several weeks. And back when Joakim Noah was playing for the Chicago Bulls, he also fell victim to plantar fasciitis. With a severely swollen foot, he was benched with pain that he described as “needles under your foot.” Each injury took several weeks’ recovery time. Among children below the age of 16, the most common foot pain complication is Sever’s disease. This condition, also known as calcaneal apophysitis is common among physically active children. It is an inflammation of the growth plate in the heel. Growing up, jumping on hard surfaces can exert excessive pressure on the heel plate causing inflammation. Heel lifts, stretching, ice, and rest are often prescribed. This is one more instance in which supportive footwear is a preventative measure that may slow or even stop the damage and inflammation. What Can You Do to Prevent Foot Pain and Associated Complications? Footwear plays a significant role in the development of toe and foot problems. Most of this pain can be avoided when preventable steps are taken. For instance, wearing the right shoes can help you avoid foot injuries/infections and keep pre-existing foot problems from deteriorating. Shoes should always have adequate heel cushioning and arch support. Shoes that are too small can cause stress fractures and joint and ligament problems. For instance, metatarsal work boots have a minimal heel, preserve the natural alignment of the body, a flexible sole that allows the foot to move, and a wide toe box that allows the toes to spread out. Just make sure that the boots are a perfect fit. Ill-fitting shoes may worsen foot complications and make them more painful. Compression socks are another excellent solution to a wealth of problems related to your feet bones and blood pressure, ankles, and even heart. These socks reduce swelling, muscles strains, and sores. They keep your feet dry and are excellent for frequent flyers. Walking barefoot around the house is another good remedy to foot pain. Walking barefoot increases oxygenation and blood flow in the foot. It also allows for all the muscles to stretch and strengthen and for stimulation of the nerve endings in the foot. But since you can’t walk around barefoot everywhere, it important to invest in a pair of shoes that doesn’t interfere with the normal structure of the foot. Walking barefoot is a good exercise for healthy feet, but if foot pain or heel pain is already present, supportive shoes should be worn immediately upon awakening as barefoot walking can place additional strain on previously injured feet. Exercise and maintaining a healthy body weight is also important because both affect the amount of pressure on the feet. Since obesity places greater strain on the feet, maintaining a healthy weight can take some of the pressure off. Exercising smart by wearing supportive footwear and alternating activities that place high stress and low stress on the feet can also help. An example of a high-stress exercise is running, whereas lower stress exercises would be swimming or biking. Wearing the right footwear goes a long way towards keeping your feet free of pain, plantar fasciitis, and related complications. If you put on your shoes with socks, go with a pair that provides the least interference. Wear socks that are made from breathable material to allow your toes and feet to spread as freely as possible. Do yourself and your feet the favor of proper care and consideration, in order to carry your body healthily through life! This entry was posted in Articles, Children's Health, Health for Men, Health for Women, Health Tips, Joint and Bone Health and tagged bone spurs, foot care, foot health, Health for Men, Health Tips, healthy, healthy feet, heel spurs, Naturade, naturade news, naturadelife, plantar fascitis, proper foot care, Studies & References.